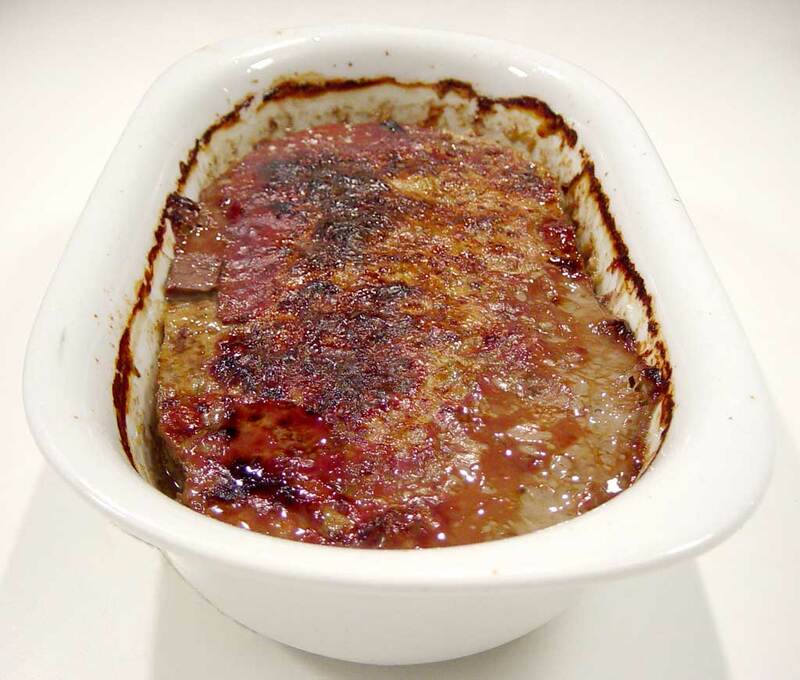 Danish liver pâté is basically a simple saucage mix that is made from pork liver and fat. It is then cooked in a pan in a water bath, inside the oven. It is also possible to make it if you use a food processor instead of a mincer. Peel, and chop the onions finely in the food processor. Chop the liver and fat in a food processor or mincer. Pour into an oven proof pan that will be placed in a water bath. Where the water reaches the same height as the meat. Bake for 1 hour at 180°C (355°F). "Make your favourite recipe for sausage filling or meatballs and then replace the meat with a mixture of 2 parts liver and 1 part fat. A good principle and it has yet to fail me. So if you already have a favorite recipe for meatballs/sausage meat, just replace the pork with liver and fat, then you have a liver pate. If you look at my danish meatball (frikadeller) recipe you will also see that it reminds a lot about the liver pate recipe. Buy ready-chopped liver and fat: There is no need to chop your own if you can buy ready chopped liver and fat at reasonable prices. Here in denmark we get it in ½ kg (1 lbs) frozen portions.